Thats what I’ve always called packages with goods in it. I’ve called them that since my army days back in the 60’s and I know others have been calling them that long before me. But back to the present. I have a friend that lives where I lived till I retired. So because we share the same interests we look out for things that each needs. Well today I got a care package from him. 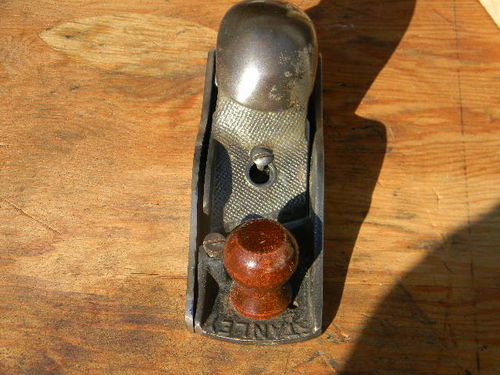 And in it was a Stanley #80 scraper. 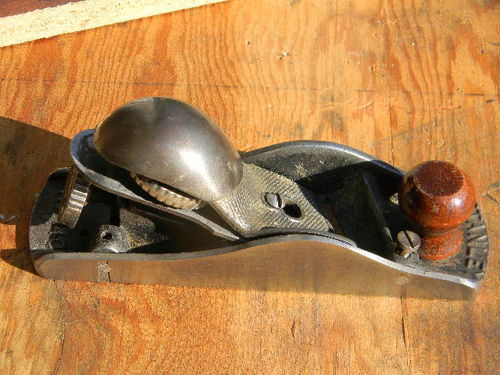 Man I’m always a day late and a dollar short, when it came to finding a tool that Stanley made more then any other. My friend found one for me at a flea market. But also in the box was a little Stanley #140. Which he said it was given to him buy another friend but he couldn’t use it. So he ask if he could pass it on to a friend that could me. So I’m sure there are a number here that know all about them, but for those that don’t. 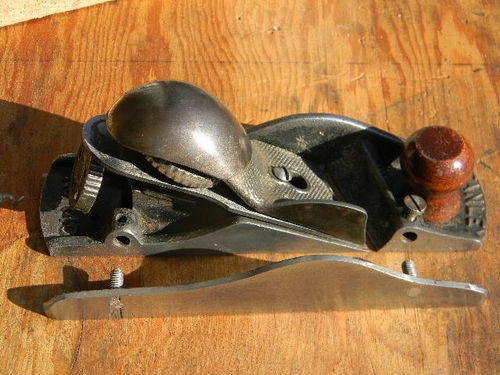 Some call it a should plane others a tenoning plane but what ever you call it, its a neat little tool. 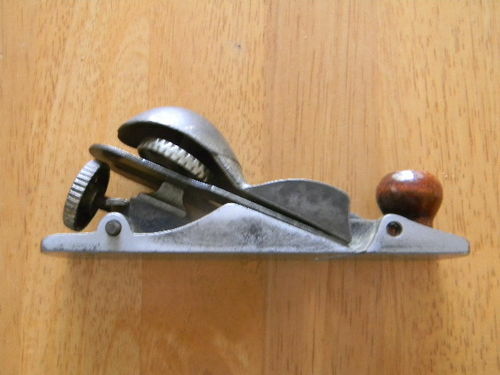 Their made to use as a block plane or you can remove the side panel, so you can use it to fine tune rabbits or tenons. It is missing the removable side. But since I picked up a broken #5 for some parts I needed. I will just cut out a new side a make one. But here are a couple of pictures for those interested. Yea he is a good friend. We are old friends of 40 years. I have the side plate made. Just have to locate and drill the pin holes then make two pins and press them in. Then some cleaning and some paint. I did sharpen the iron and try it out. She works good. Well for what its worth. 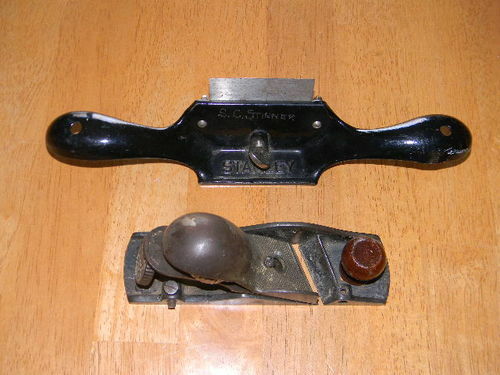 Here is the side panel that I made for my Stanley #140. I still have some sanding to do, but its ready to use as is. I also still have to find a screw to the back boss to hold the back side of the panel on. Two of my favorite tools in my shop.